KidKraft Vintage Play Kitchen Just $82.33! Down From $147! PLUS FREE Shipping! You are here: Home / Great Deals / Amazon Deals / KidKraft Vintage Play Kitchen Just $82.33! Down From $147! PLUS FREE Shipping! Head over to Amazon to score this KidKraft Vintage Play Kitchen for just $82.33 down from $146.93 PLUS FREE shipping! 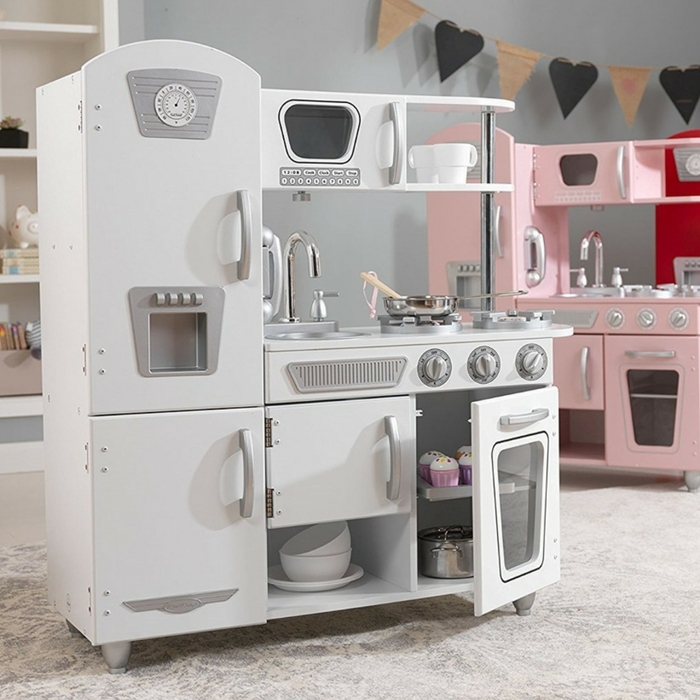 Young chefs will love cooking up feasts for the whole family with the adorable KidKraft Vintage Play Kitchen. With life-like pieces that turn and click, the realistic-looking play kitchen is an interactive hub of cooking excitement. Little chefs can use their imaginations to create menus and explore different cooking styles for hours of fun in the KidKraft Vintage Kitchen.